Versatile combinations for quick hook-ups and multiple pulls. 18-inches of ?" chain included. Working Load Limit: Refers to the maximum load (rated capability) in pounds that shall be applied in direct tension to a straight length of chain or attachment. The working load limit shall not be exceeded. 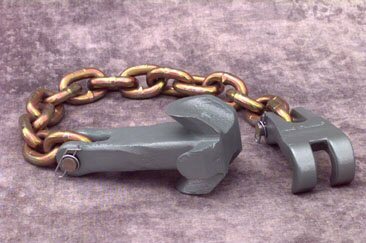 NEVER EXCEED THE WORKING LOAD LIMIT of chains or attachments, even when the item is new and the load limit is uniformly applied.